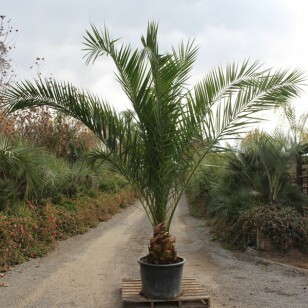 The Canary Island Date Palm is native to the Canary Islands, and is commonly known as one of the most majestic of all palm trees. 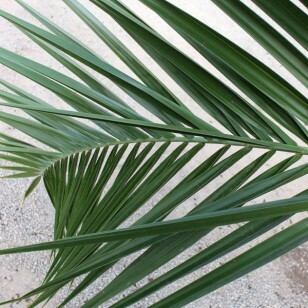 It is often grown for exotic landscapes. 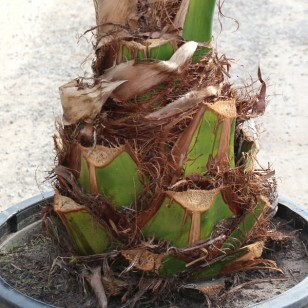 It is also known as the “Pineapple Palm” because of the unique pineapple shape it forms after it is trimmed. 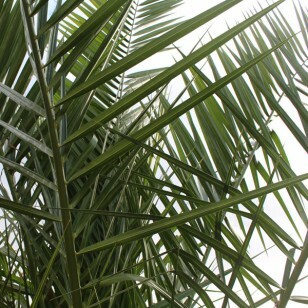 This large palm often reaches a size too massive for residential use, averaging 50 feet tall, although occasionally reaching heights in excess of 100 feet. 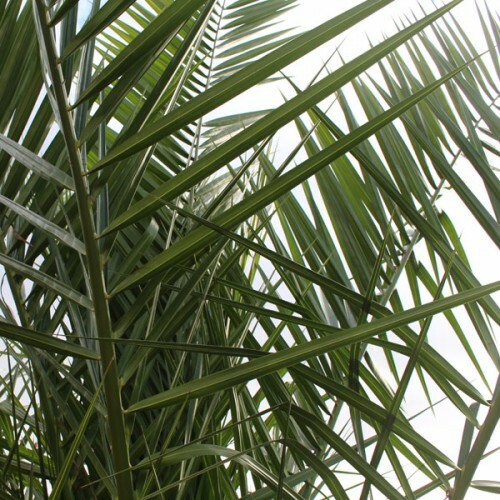 The leaves of mature plants are between 15 to 25 feet long, in colors ranging from lime to dark green. 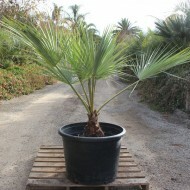 The Mexican Blue Palm, native to Baja California, Mexico, is one of the most drought-tolerant palms ..